Home → Hot Topics → What is Propane? First discovered in 1910 by chemist Walter Snelling, propane is a naturally occurring fossil fuel that is also produced as a by-product of natural gas processing and crude oil refining. Propane is a hydrocarbon consisting of three Carbon atoms and eight Hydrogen atoms (C3H8), and is odorless, colorless, and non-toxic. As a chemist and explosives expert with the US Bureau of Mines, Snelling is credited with the development of an underwater detonator in 1907, greatly aiding the US in the construction of the Panama Canal. In 1910, after being contacted to investigate vapors coming from the gas tank of a Model T vehicle, Snelling was able to separate the components of the gasoline into liquid and vapor forms. One of these vapor forms was propane, which Snelling was able to compress into a liquid. As a liquid, propane is 270 times more compact than it is as a gas. In liquid form, propane is more easily transported and stored, and the propane industry has developed numerous methods to ensure its safe transport and use. In the United States, approximately 15 billion gallons of propane are used each year on average. Propane is also referred to as liquefied petroleum gas, LP-gas, or LPG. Propane leakage does not result in a puddle, but rather as vapor; because the vapor dissipates, propane cannot be ingested like gasoline or alcohol fuels. 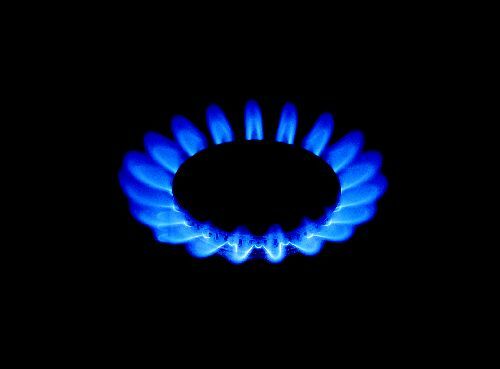 Due to its naturally odorless, colorless state, a commercial odorant is added to propane to indicate leakage. Very precise conditions must exist for the ignition of propane. In order to ignite, the propane-air mixture must contain between 2.2 and 9.6 percent propane vapor. The ignition source also needs to reach at least 940 degrees Fahrenheit. In contrast, gasoline, with its higher range of flammability, will ignite when the ignition source reaches at 430-500 degrees Fahrenheit. Used by more than 12.6 million households in the US, propane heats homes, cooks meals, and powers many appliances. Commercially, propane is used in the agricultural, industrial, and transportation sectors to power equipment and provide energy for lighting and heat. Since its discovery over 100 years ago, propane has developed into a reliable energy source that has many applications. You can find more information on propane in our resources section. Could Your Commercial Mowing and Landscaping Business Use an Extra $1000 per Mower?